Contesting in the women's -79kg of the powerlifting event, Bose Omolayo lifted 138 kg to finish top of her weight category at the Rio 2016 Paralympic games. The silver medal went to Lili Xu of China who lifted 135 kg, while Chinese Taipei's Tzu-Hui Liu claimed the bronze medal with a lift of 131 kg. Earlier in the day, Ndidi Nwosu also won gold in the women's powerlifting. She beat off competition from France's Souhad Ghazouani and Egypt's Amany Ali. Team Nigeria still remains ninth on the overall medal table with six gold, two silver and one bronze. 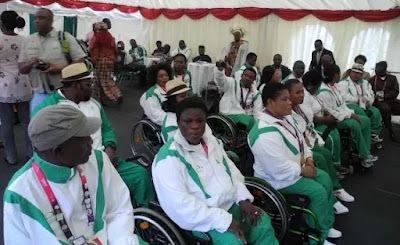 This is a huge achievement when compared with their able bodied counterparts who could only win one bronze medal in the just concluded Rio 2016 Olympics. NDDC STRENGTHENS TIES WITH FOREIGN UNIVERSITIES.